The winners of the first Today Student Journalism Awards have been announced at an awards ceremony held at the BBC Radio Theatre. 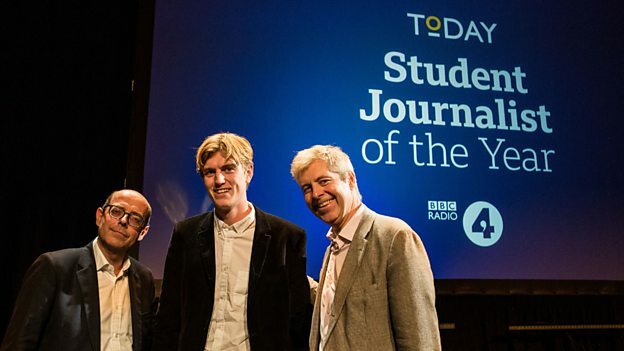 The winner of the Today Programme Student Journalist of the Year – as shortlisted by Today Editor Sarah Sands, the BBC’s Media Editor Amol Rajan, and Janine Gibson of Buzzfeed UK – is Jack Hunter, Wadham College Oxford (pictured centre, with Nick Robinson and Justin Webb). As part of the award, Jack will be offered a position on the BBC News Journalism Trainee Scheme as the Today Programme News Trainee, a role that will involve placements on the Today Programme and at various departments within BBC News. Jecca Powell, Bristol University was commended for her work and Teuta Hoxha, King’s College London, Ben Van Der Merwe, University College London, Lottie Tiplady-Bishop, Manchester University were all shortlisted. The Today Programme Student Broadcaster Of The Year, as shortlisted by Today’s John Humphrys and Emma Tucker of The Times, was awarded to Nikola Bartosova, University of Salford. Layla Wright, University of Liverpool received special commendation and Oli Harrison, Liverpool John Moores University was shortlisted. The Today Programme Critic Of The Year, as shortlisted by Martha Kearney and the author Andrew O’Hagan, was awarded to Laura Hackett, Brasenose College Oxford. Hannah Hutchings-Georgiou, University College London and Sarah Gibbs, University College London both received special commendations. The Today Programme Visual Journalist Of The Year, as shortlisted by Nick Robinson and Isabel Hardman of The Spectator, was awarded to Peter Flude, Falmouth University. Venetia Menzies, Westminster University received special commendation and Louis Ashworth, Cambridge University was shortlisted. The Today Programme Student Publication of the Year, as shortlisted by Mishal Husain and Charlie Cuff of gal-dem, was awarded to The Boar, Warwick University. The team included Elliot Mulligan, Daniel Ruben, Amy Kynman and Isabelle Atkins. The Palatinate, Durham University received special commendation, the team included Cameron McIntosh, Julia Atherley, Sophie Gregory, Eugene Smith. Whilst Concrete, University of East Anglia was shortlisted, Sophie Bunce, Matt Nixon, Shannon McDonagh made up the team. The Today Student Programme of the Year, as shortlisted by Justin Webb and the columnist Janice Turner, was awarded to ‘Sombremesa’ Exeter University. The team included: Alexandra McLeod, Marie Guglielmi, Selena Li, Ben Lang and Annie Tricks for XpressionFM. ‘The Pulse’ Nottingham University received commendation. The team included Elizabeth Ephgrave, Harry Robertson, Hermione Hearne and Kathryn O’Connell for URN University. With ‘The Civil Row’, King’s College London, shortlisted, the team included William Nestor-Sherman and Thomas Bullock for KCL Radio. The Today Student Journalism Awards are in their inaugural year and sought to find students and publications that embody the BBC’s values of impartiality, trustworthiness and excellence, and who had shown they can serve the needs and interests of a student audience. 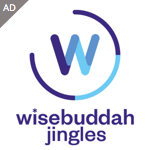 The awards aim is to champion new talent and also recognise the Today Programme’s long connection with student audiences.